Fashion jewelry, sometimes referred to as costume jewelry, makes it possible to keep up with the latest bauble trends. You can try the newest jewelry stacking trend or the bold statement piece trend without breaking the bank. Although low priced fashion jewelry gives you the opportunity to own dozens of different styles in various colors, the downfall is that they don’t last as long as fine jewelry. Check out these easy tips you can do at home to keep your fashion jewelry looking fresh and untarnished! Just like fine jewelry, always make sure that your fashion jewelry is the last thing you put on when you’re getting ready. Never wear your costume jewelry if you plan to get in the pool or you’re going to the beach. A great way to make sure your fashion jewelry will last longer is by giving it a break. Most costume jewelry is not meant to be worn on a daily basis. If you do, you’ll notice it start to change color. 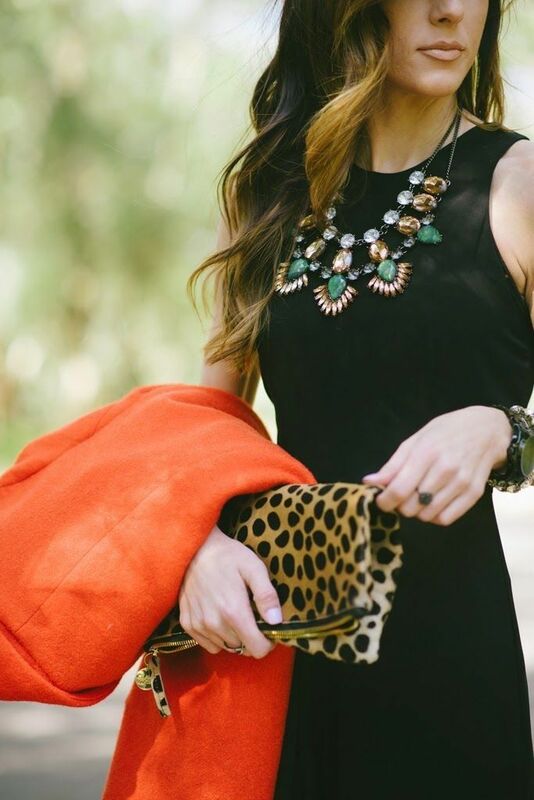 To prevent this, resist the urge to wear your favorite statement necklace with every outfit. Costume jewelry is actually more delicate than real jewelry because it’s not built to last. Keep faux jewelry away from the water because the stones are usually held in place by glue. Soaking this kind of jewelry in water can loosen the bond. Instead, opt for a dry clean. Using a toothbrush, gently brush the jewelry without water to remove any buildup. If there’s a lot of buildup, try using a can of compressed air an inch or two away from the surface of the piece of jewelry and spray. This will loosen any stubborn dirt and dust that could be trapped in the crevices. Finish by polishing your piece with a dry, soft cloth. To protect your jewelry from humidity, store it inside a plastic bag. Small plastic sandwich bags work perfectly. 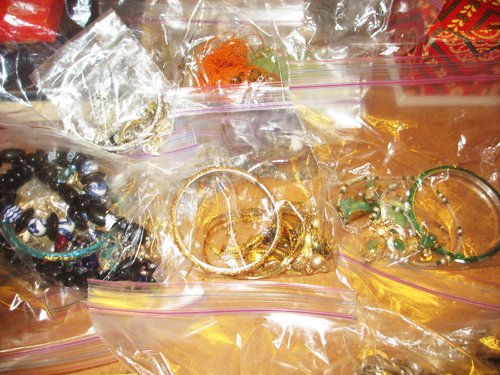 If your jewelry gets wet, make sure you completely dry it before storing it in the plastic bag. This will avoid tarnish and the jewelry will last longer. Make sure you store them in places that don’t experience extreme temperatures. Fashion jewelry with glass or crystal pieces is even more delicate and can break easily. Be sure to store them between layers of cotton to avoid breakage. Costume jewelry is affordable, stylish and a great way to rock the latest trend without investing a lot of money. Make it last longer and looking polished by following these care tips. Do you have any care tips that you would like to share?